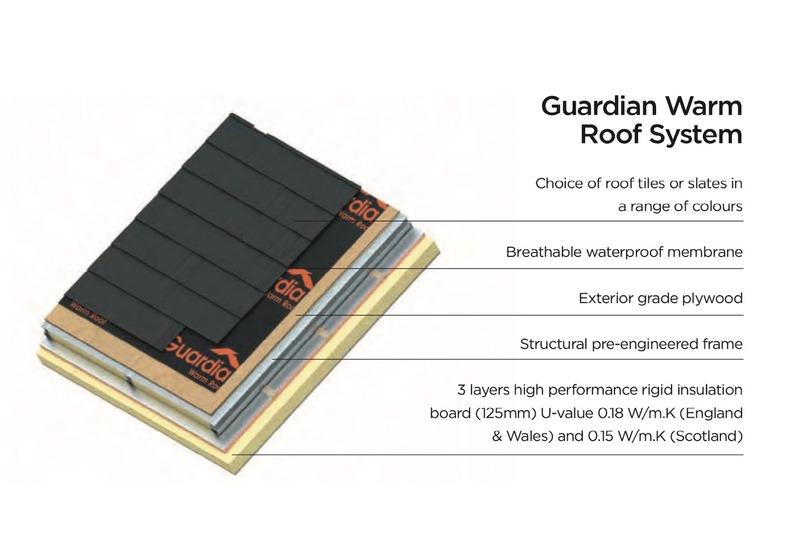 Fully tested and approved to all thermal and structural standards, the Guardian™ roof is a high performance insulated roof system comprising of a pre-engineered lightweight frame, two layers of rigid insulation board, internal insulated plasterboard, exterior grade plywood and a vapour membrane. 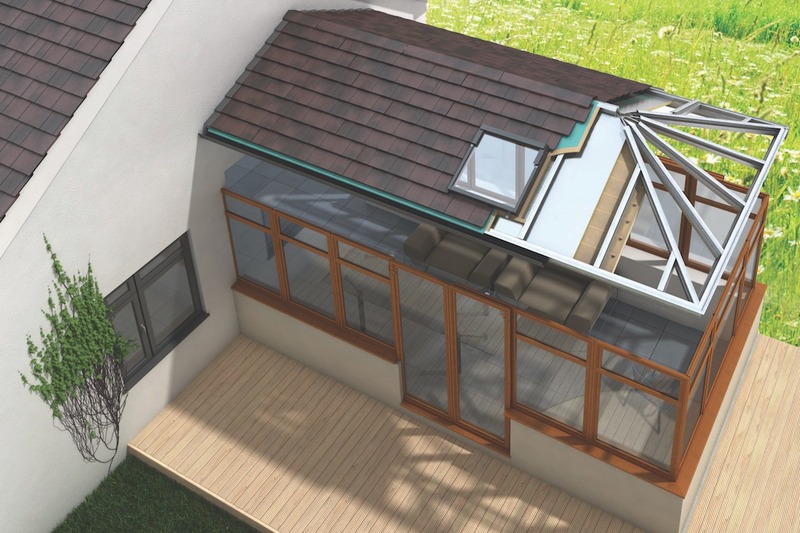 All together this creates a thermally efficient living space; keeping the warm air out in the summer and preventing the heat from escaping in the winter thus saving the amount of heat energy required to keep the room at an ambient temperature. To comply with part L of the building regulations 2010, all roofs to rooms (except those in unheated buildings) should be thermally insulated to a maximum U-value of 0.18 W/m²K making the Guardian™ Warm Roof system completely compliant to current thermal regulations.